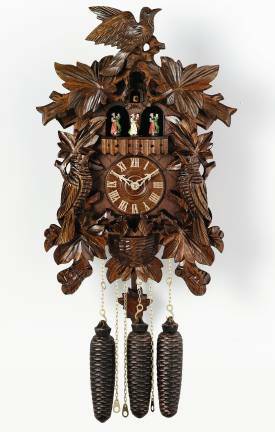 This larger, eight day musical cuckoo clock will delight the entire family! Little couples waltz in and out under the little cuckoo. This clock measures 21" and promises to be a great conversation piece.